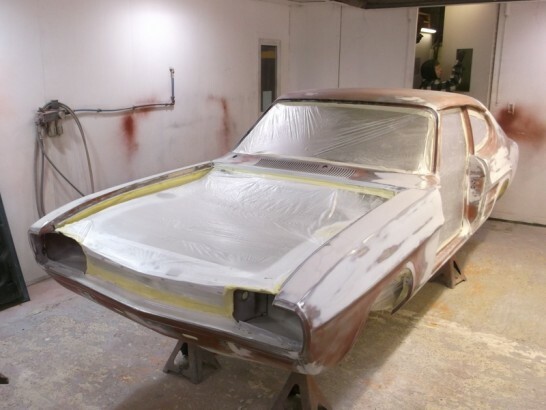 Our lastest epic project is this rare facelift Mk1 3000GT, built in the halewood plant in 1973 and fitted with the otional rallye pack, vinyl roof and cloth/vinyl seats. 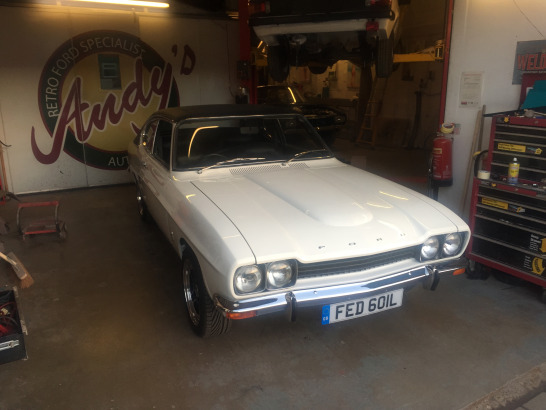 It arrived partially stripped with the vinyl removed and first impressions are that it has had a very dubious repaint and is full of filler. 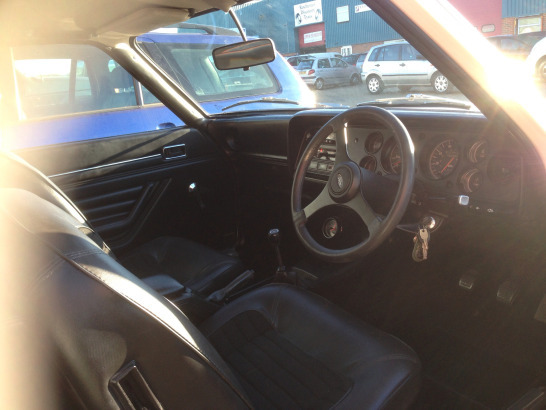 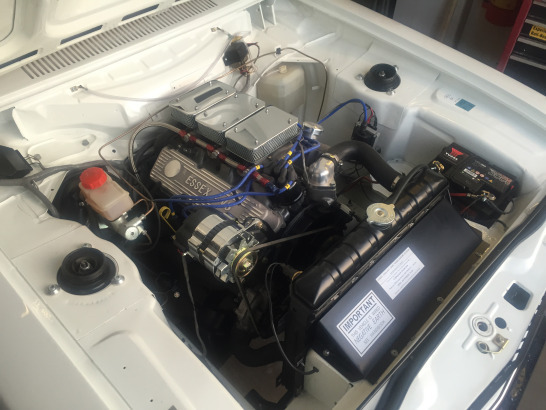 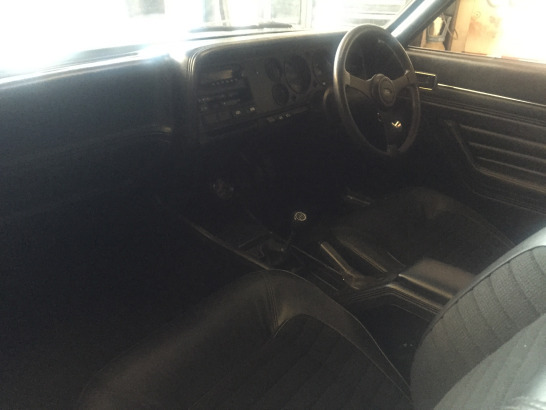 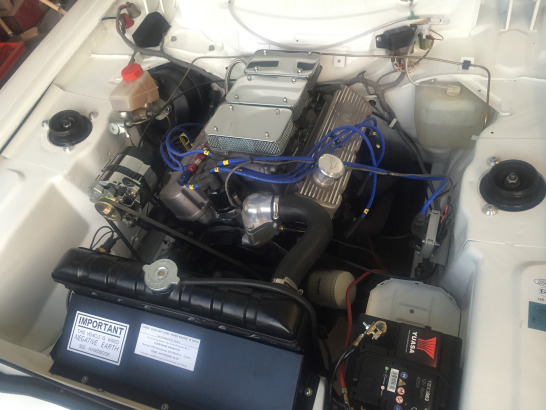 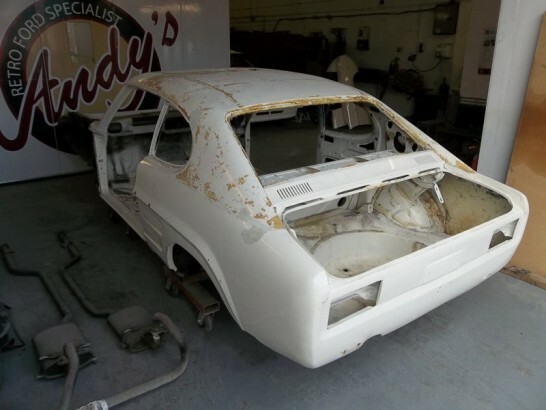 With the remaining trim removed the full extent of the Capri’s corrosion and dodgy repairs is evident. 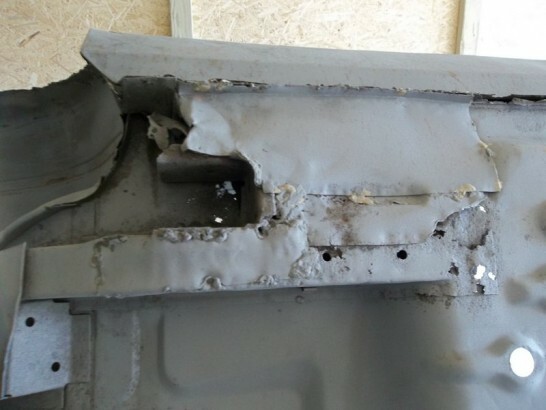 The usual A post rot which was never repaired before the wings were replaced during its last repaint. 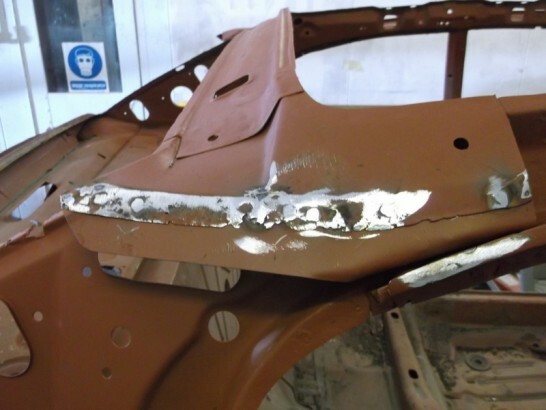 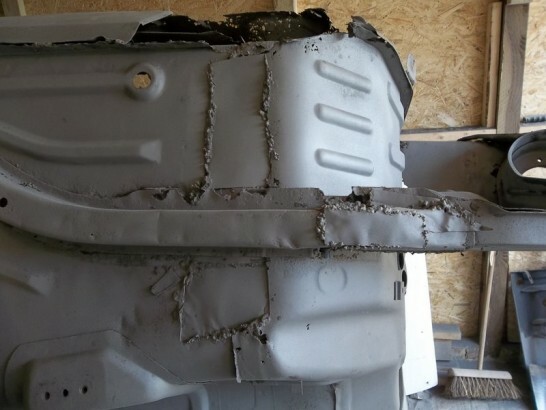 After an epic amount of stripping and blasting the 3000GT shell is now back and the full extent of the corrosion is visible and its not pretty, almost every single panel on the car has rusty holes in it somewhere. 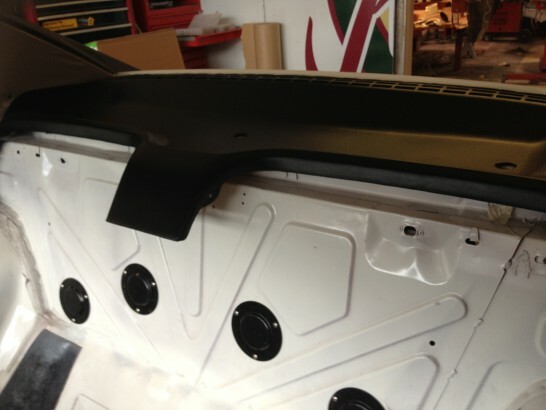 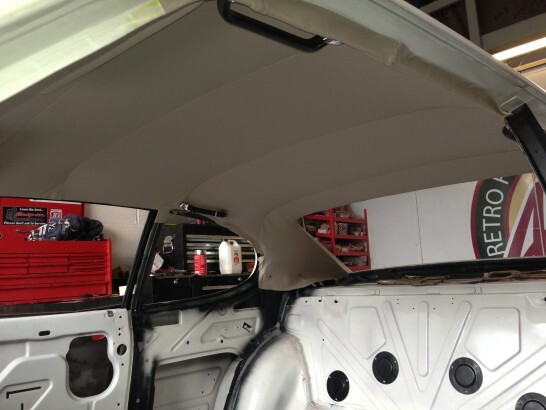 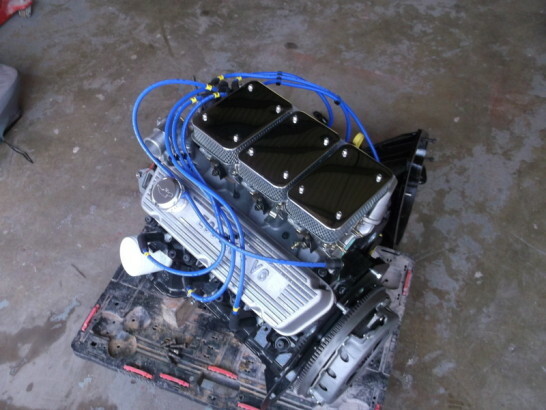 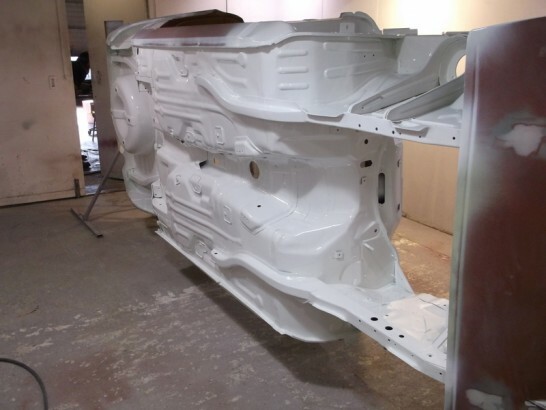 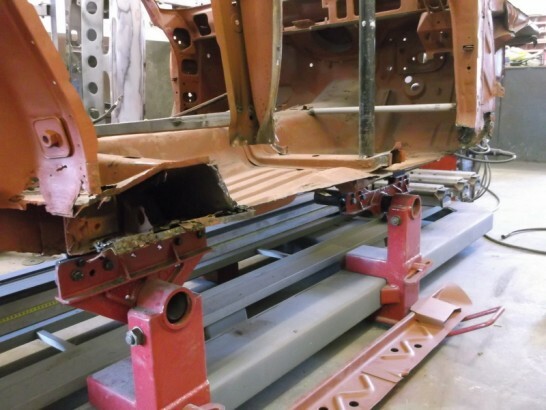 A vast amount of panels are going to be required from the roof to the chassis rails. 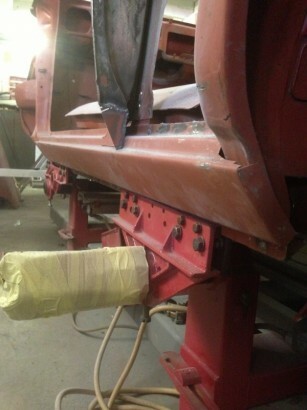 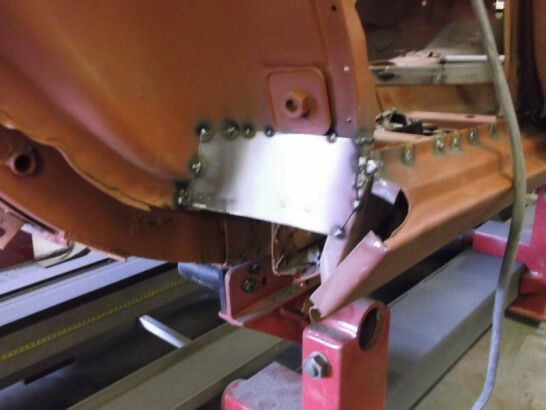 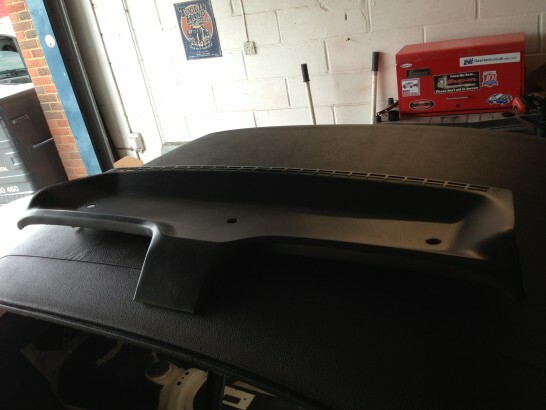 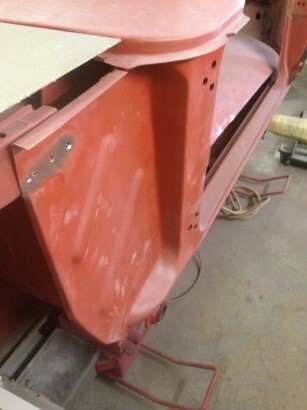 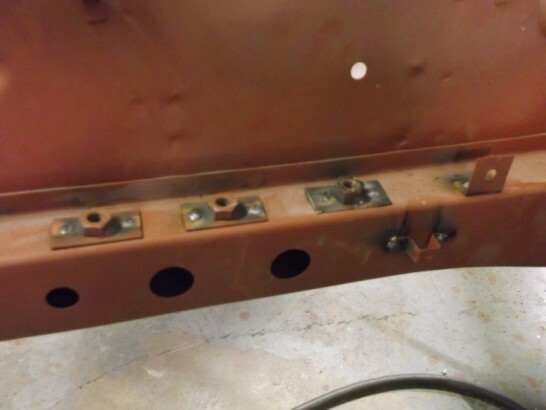 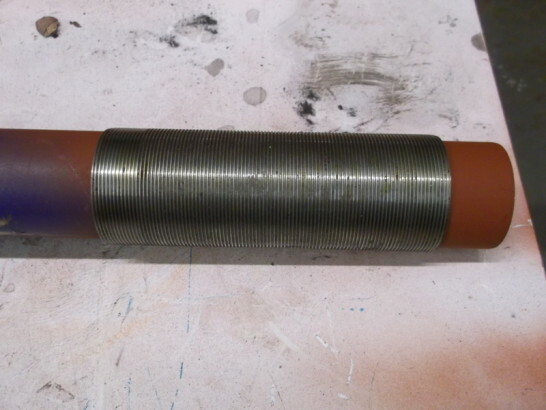 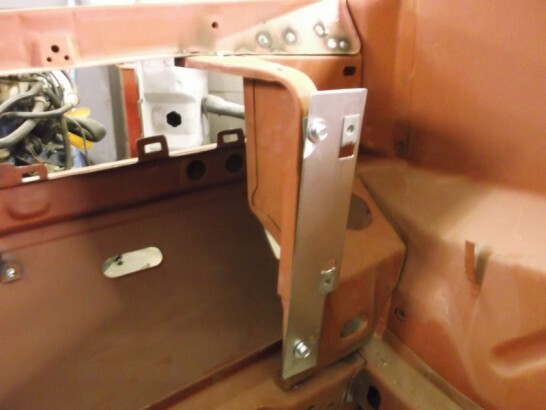 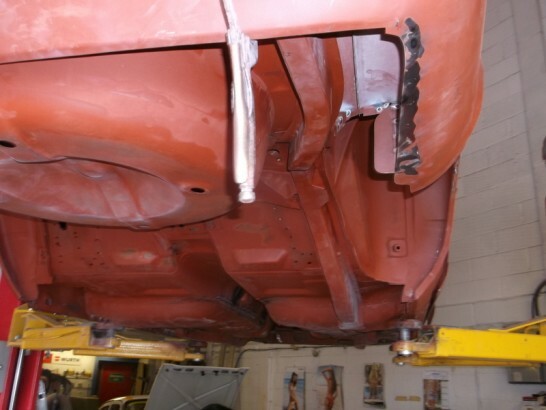 An extra two top plates have been welded over the top of the originals making the inner wing top five layers thick. 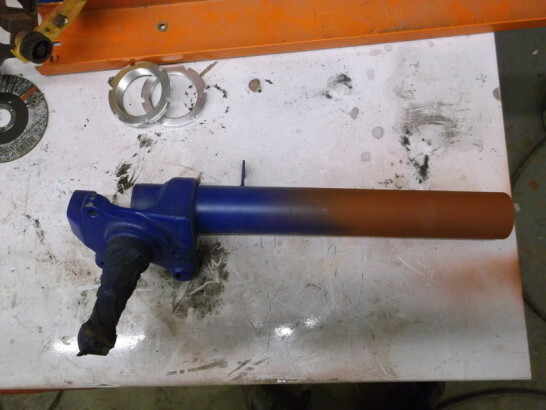 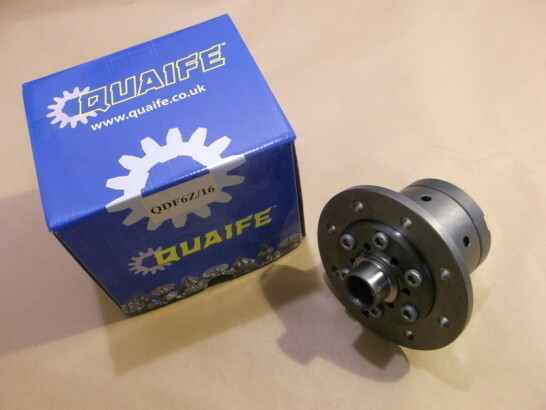 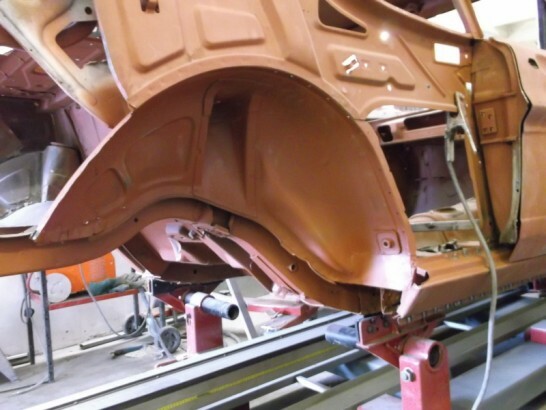 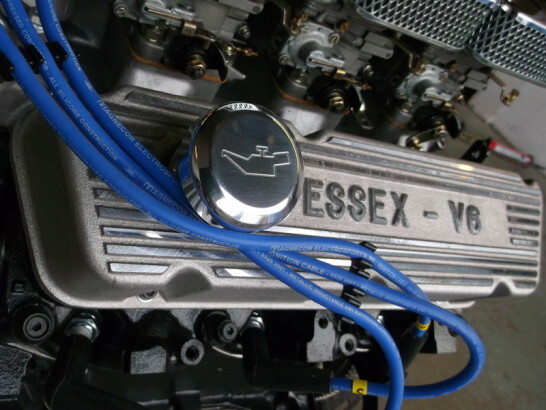 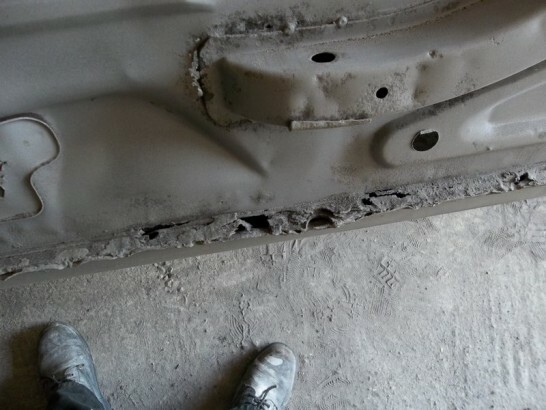 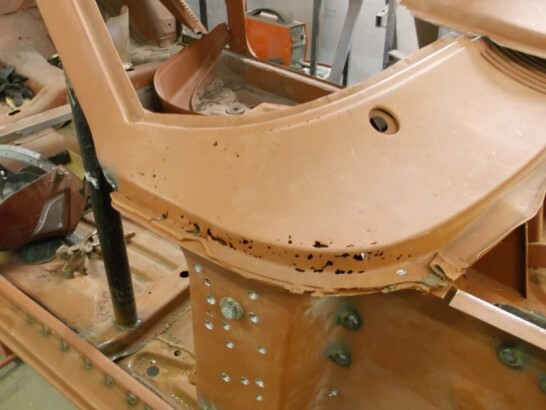 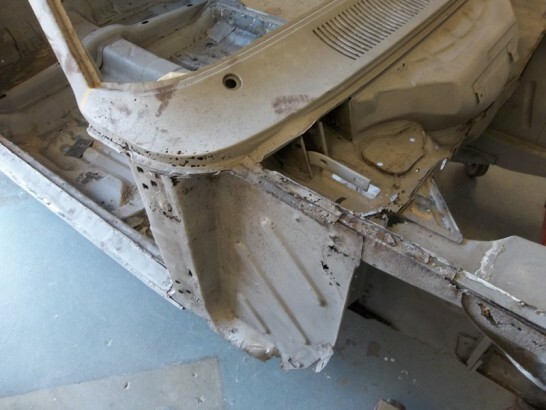 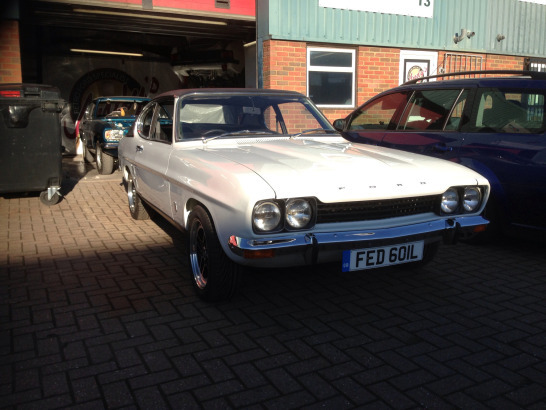 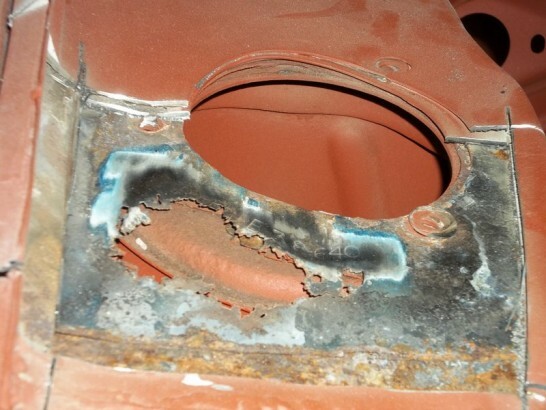 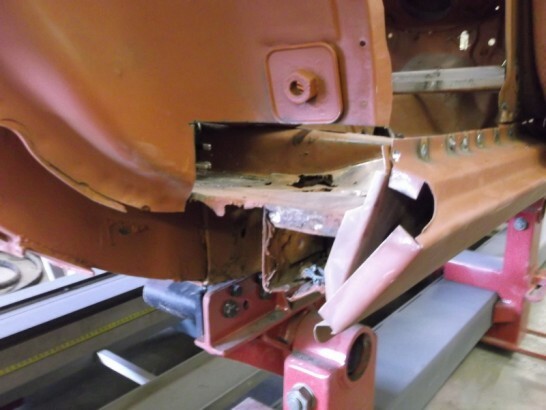 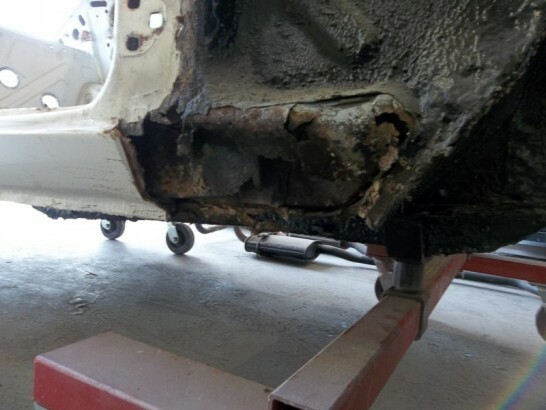 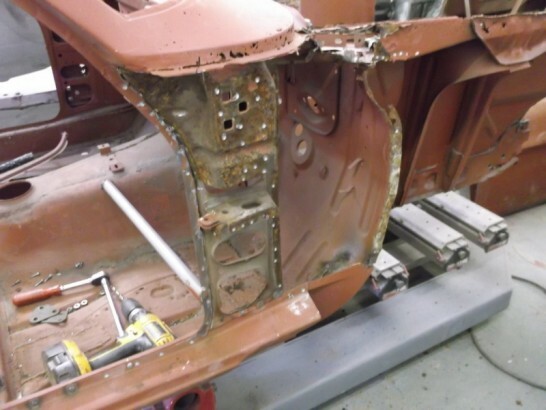 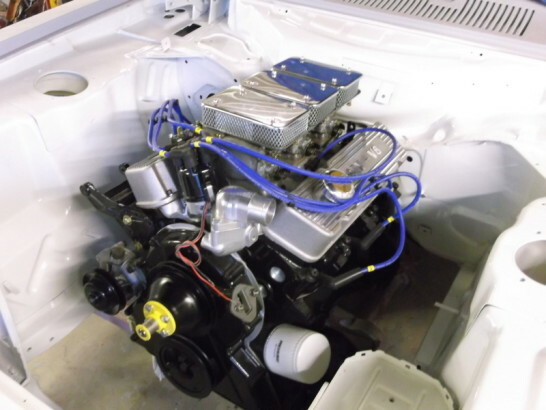 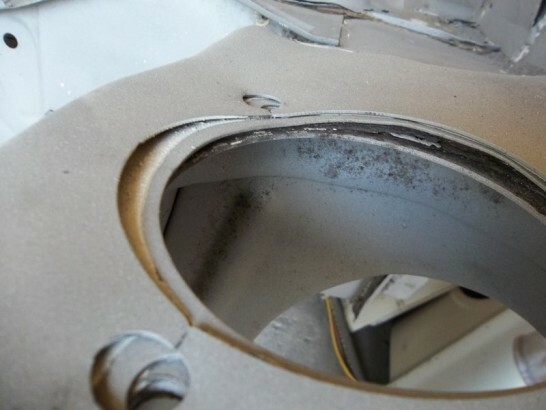 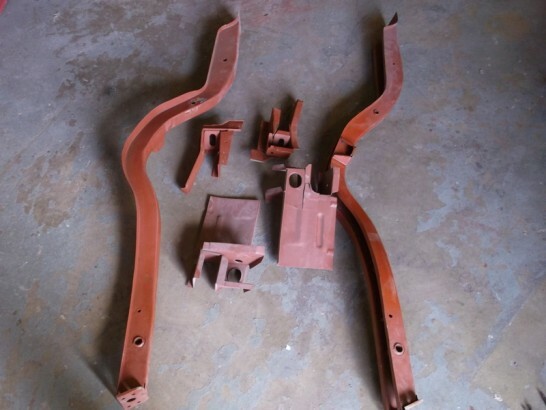 Apart from the rust to deal with the Capri has an lot of bad plating and welding to remove as well. 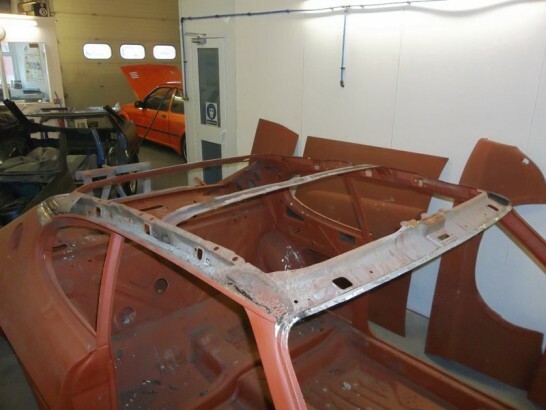 Fortunatly Expressed Steel make the majority of the panels that are going to be required to get this GT back to its former glory. 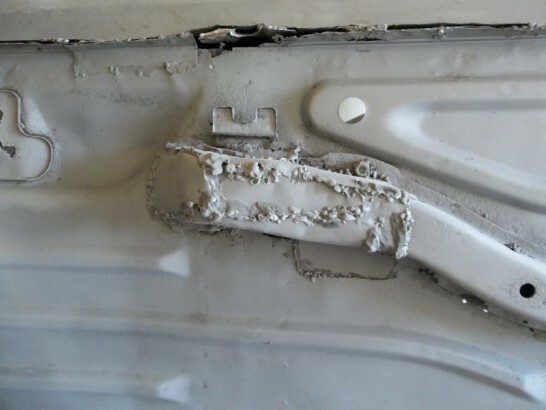 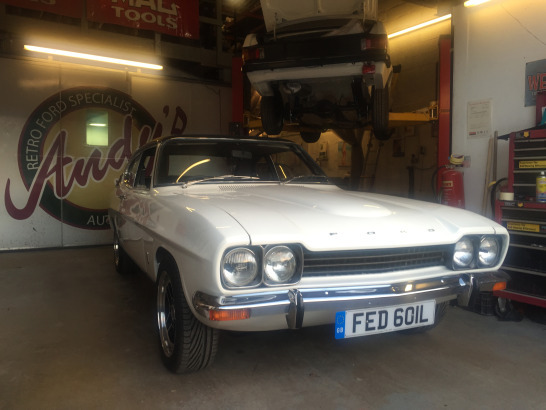 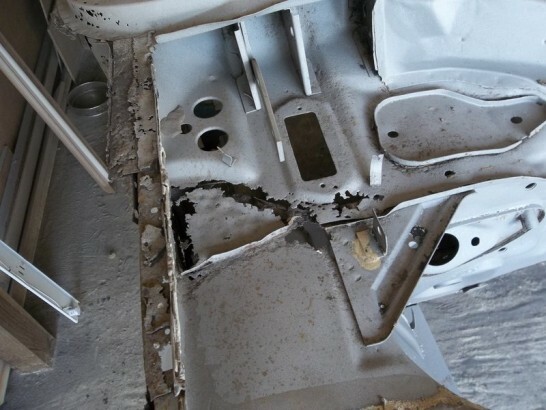 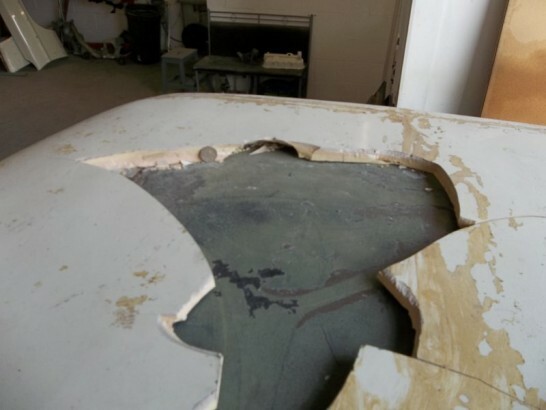 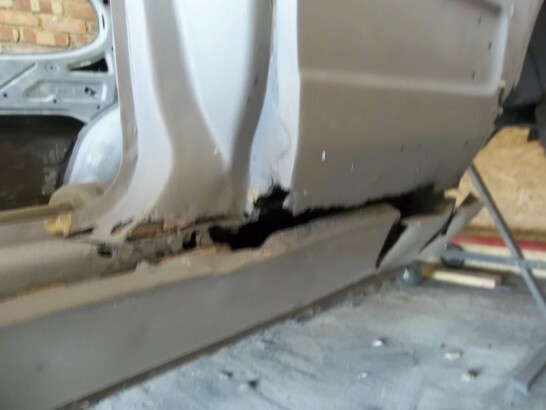 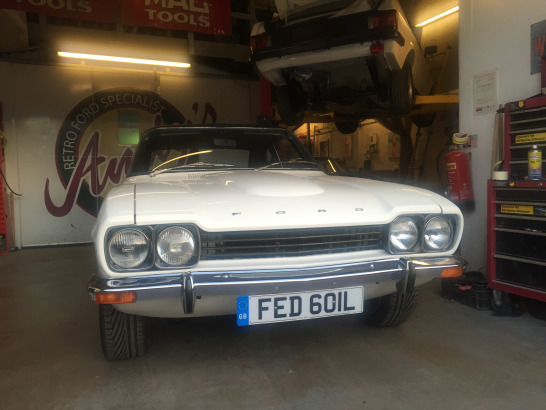 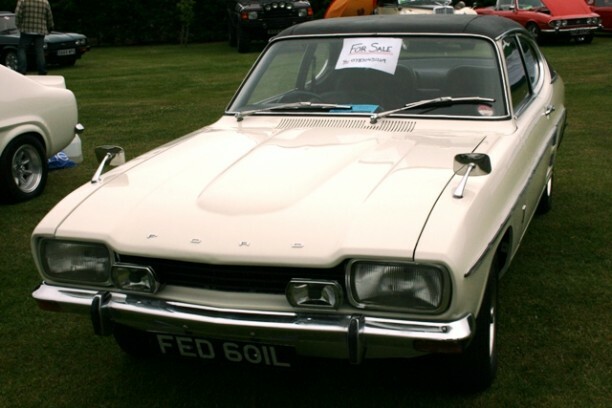 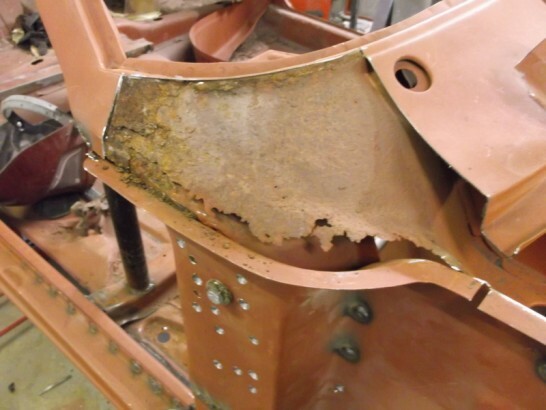 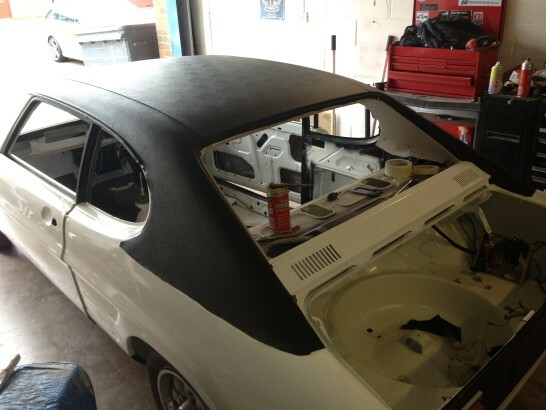 Unfortunately the Capri’s roof has had a nasty plate welded in to replace a previous sunroof which has distorted the panel to the point its totaly unuseable. 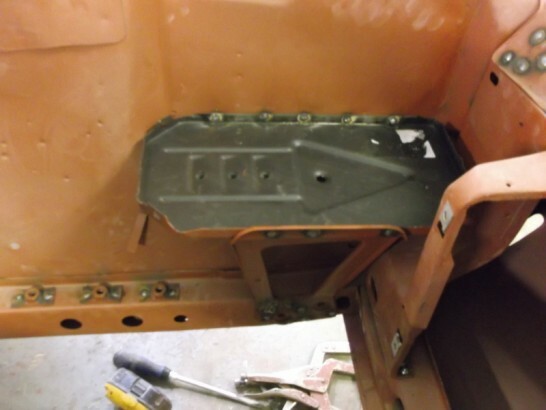 After removing the two extra top plates the GT’s chassis number is still intact enough to read. 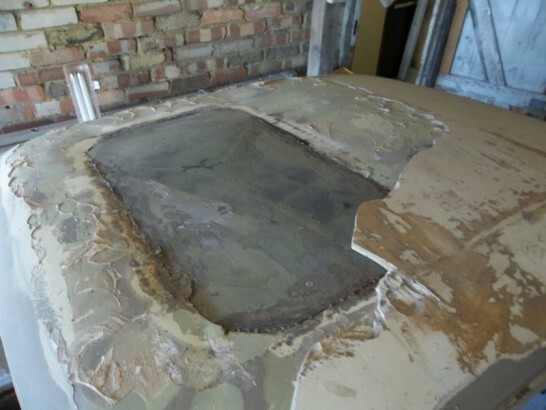 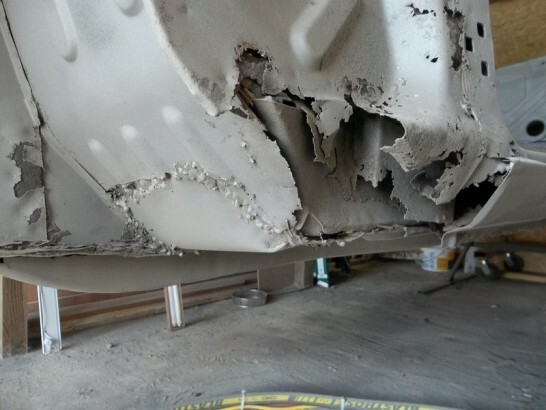 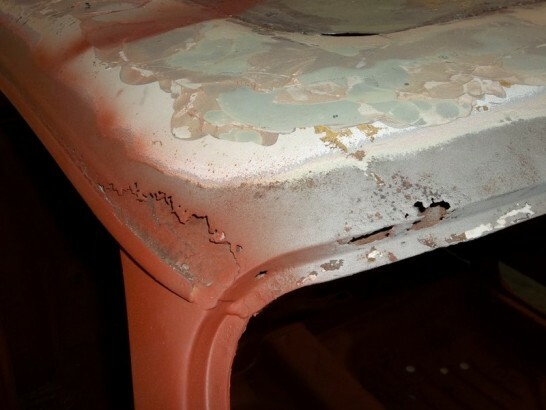 The bad repair combined with corrosion around a large portion of the roof means that fitting a new skin is going to be the only option. 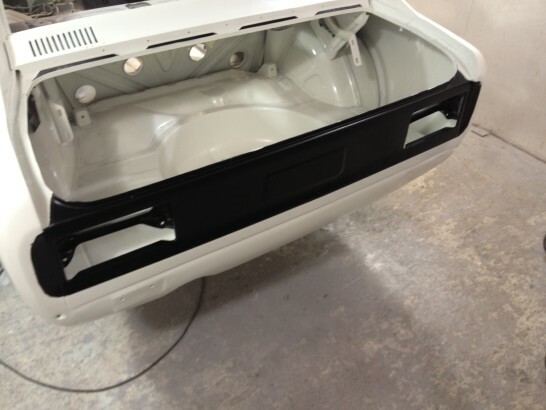 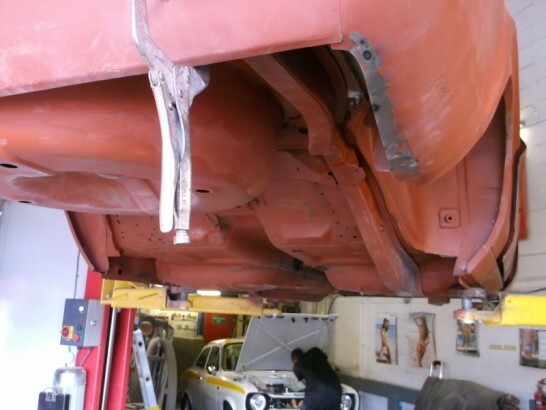 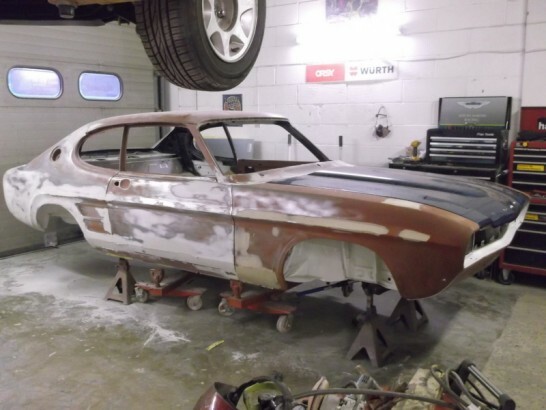 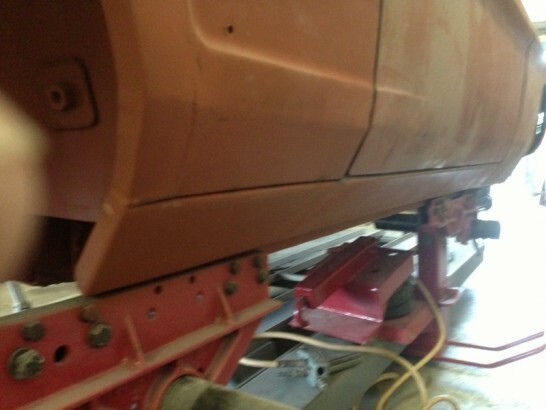 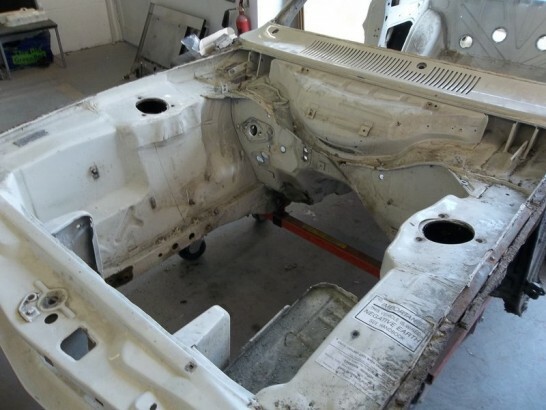 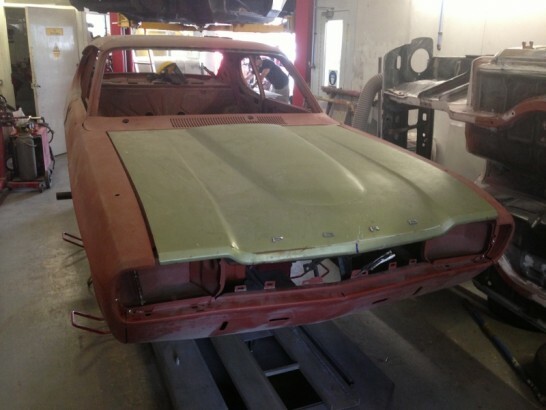 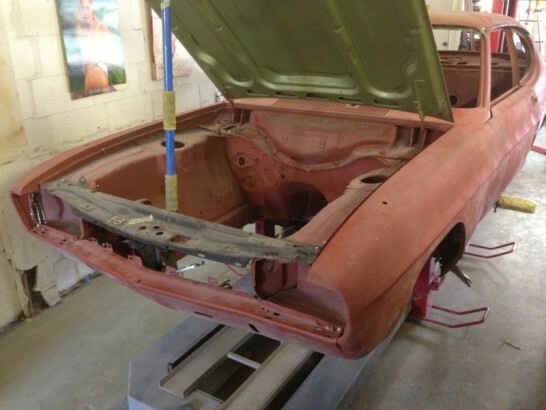 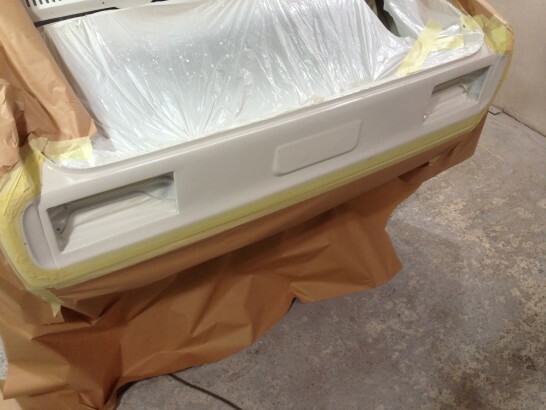 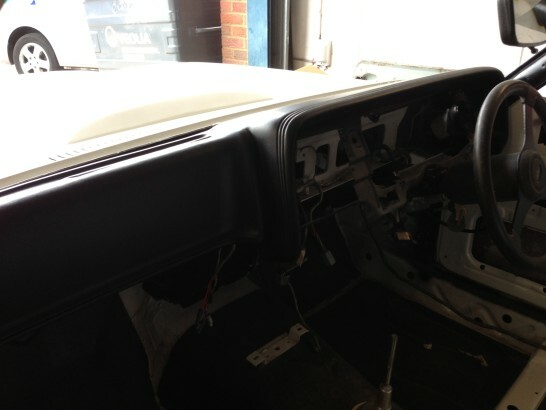 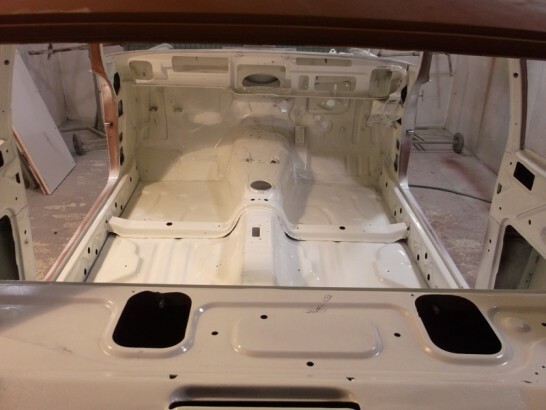 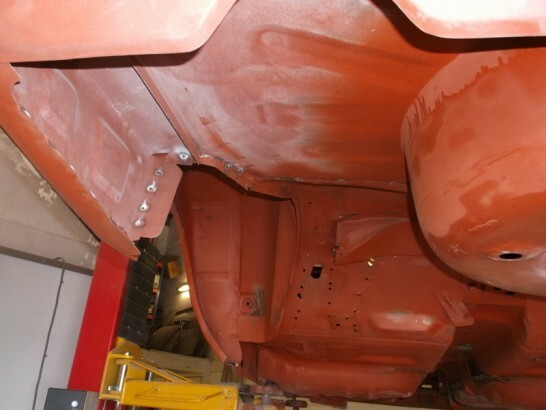 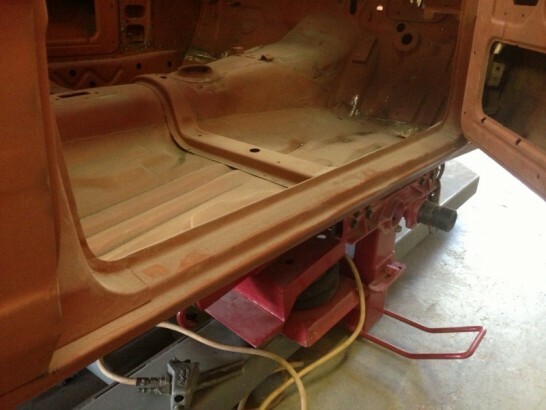 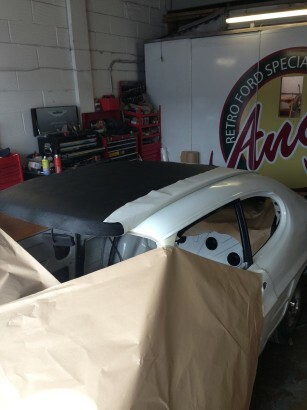 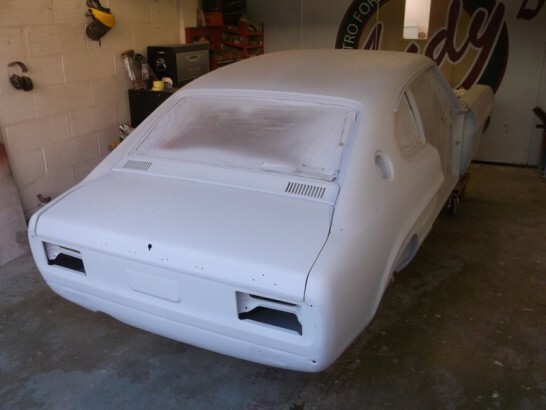 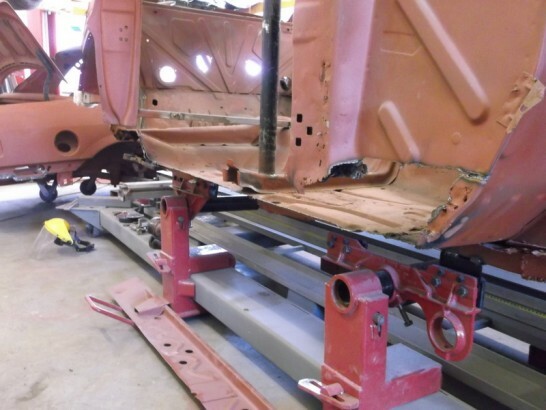 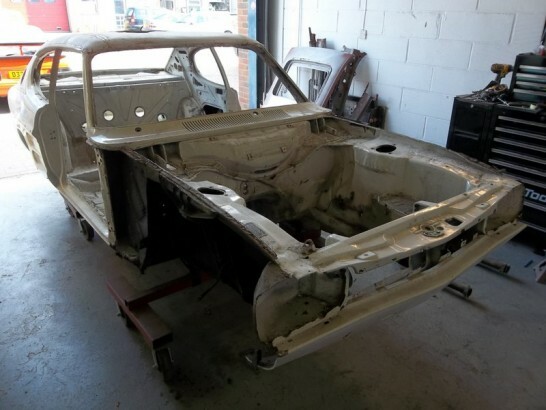 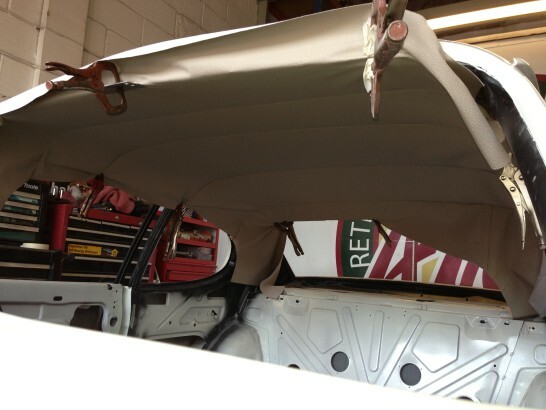 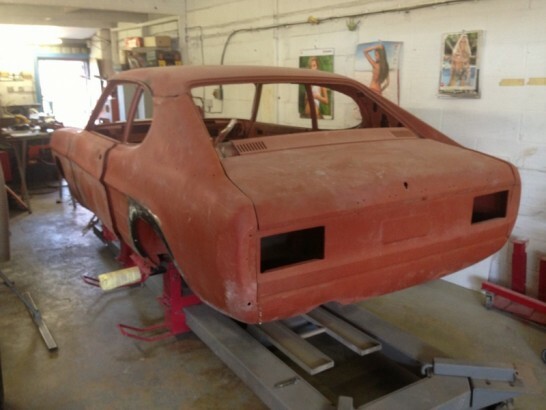 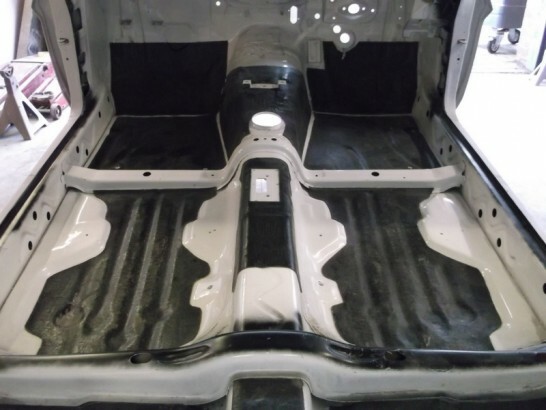 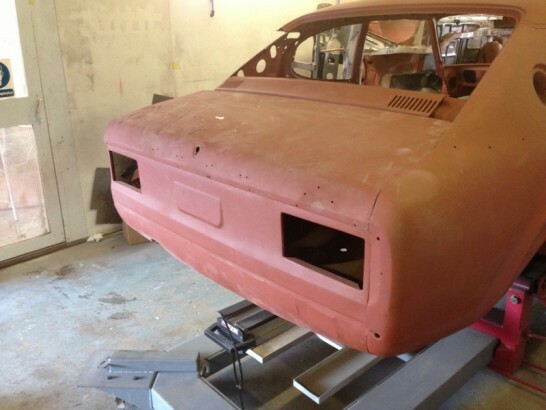 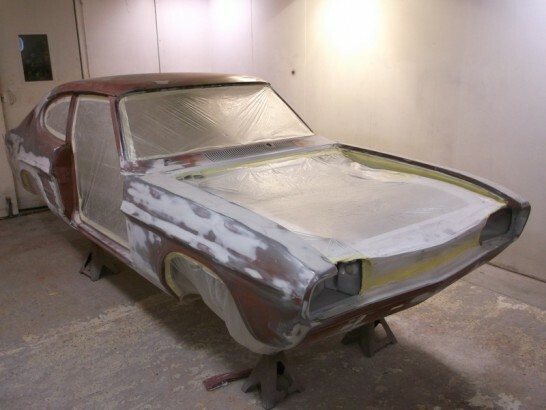 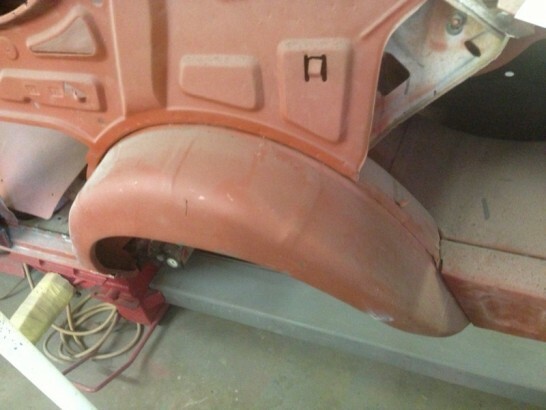 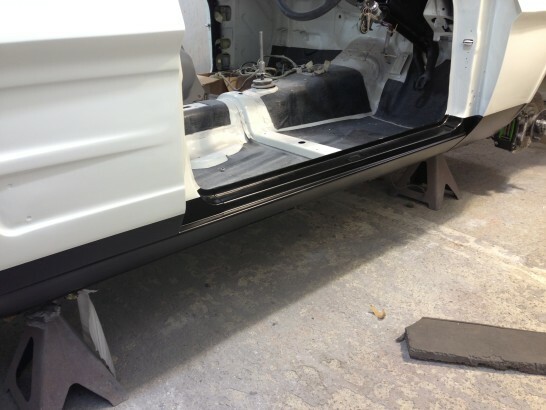 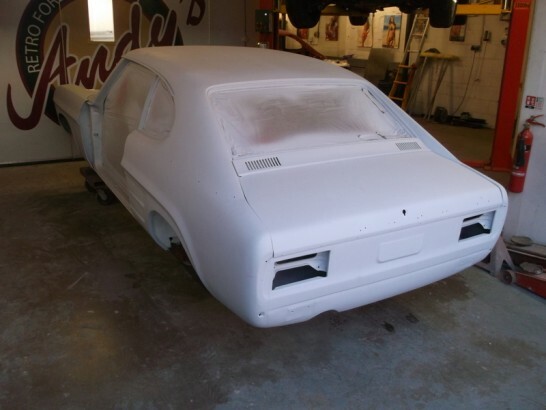 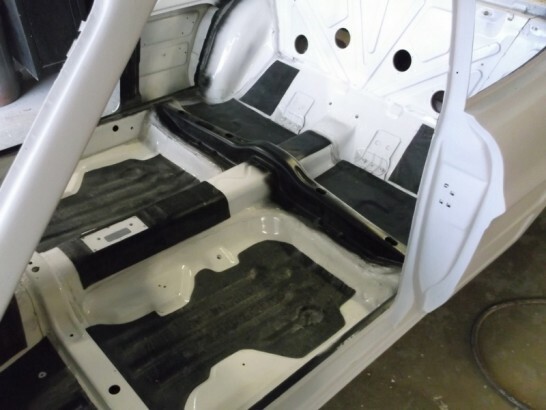 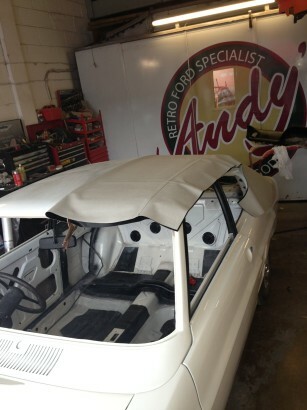 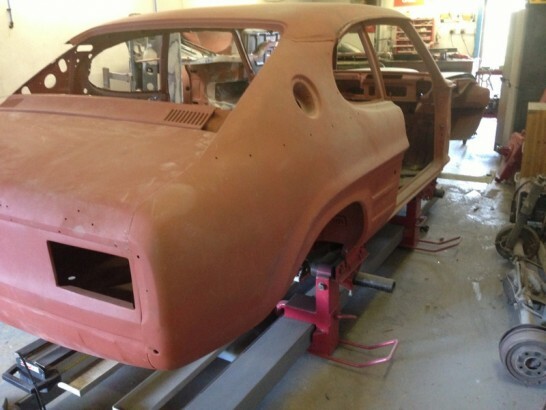 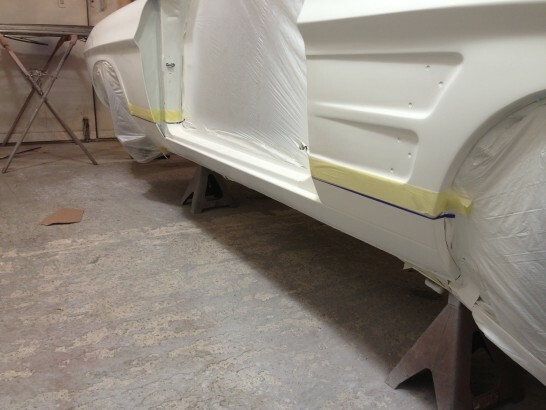 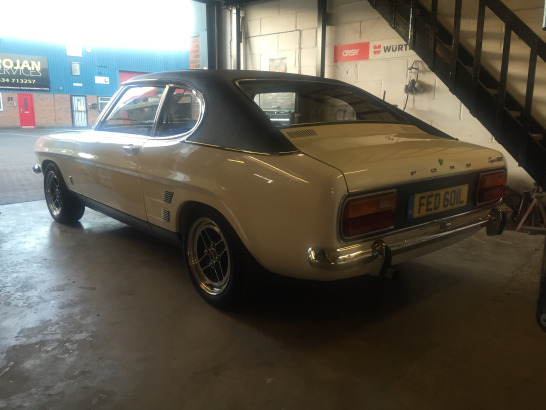 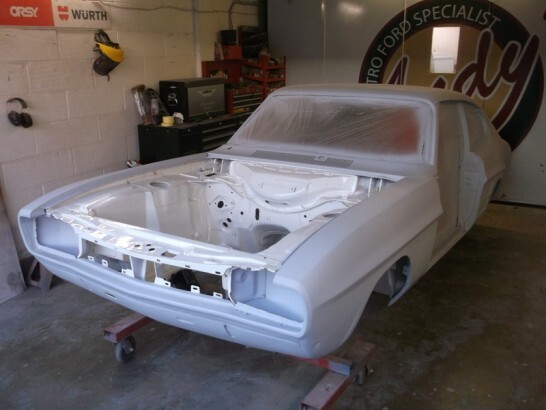 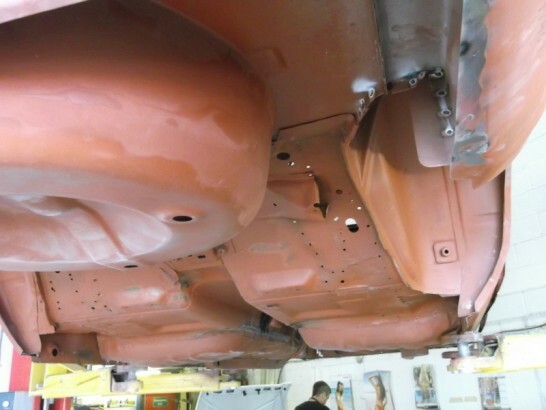 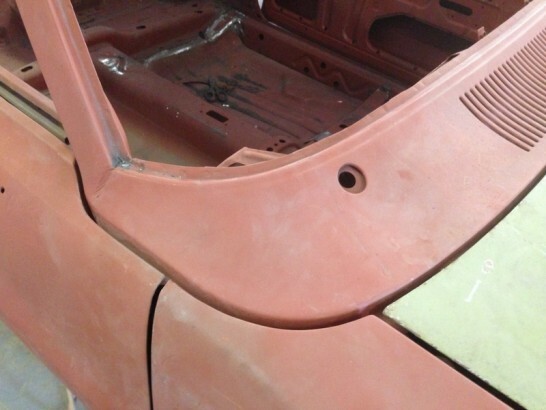 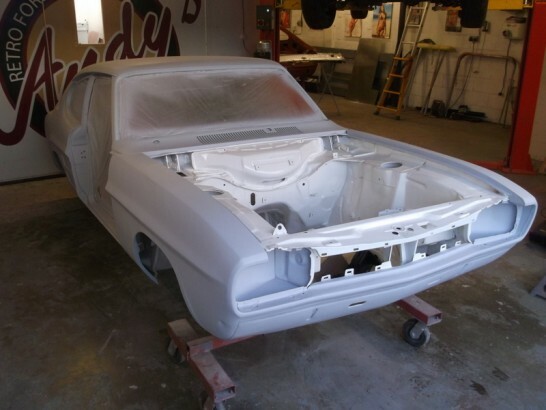 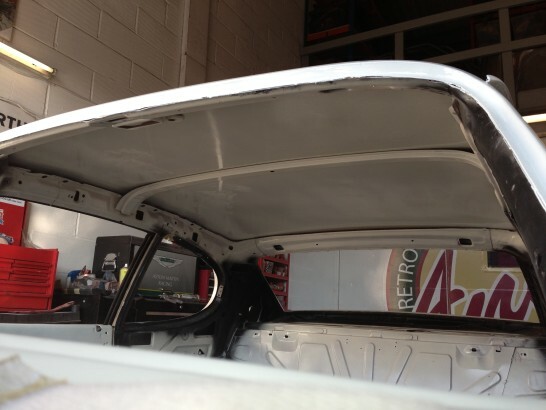 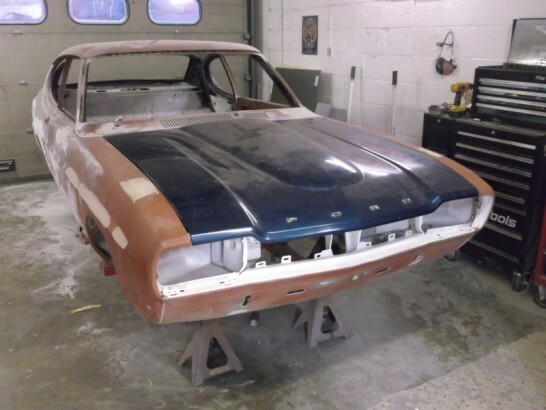 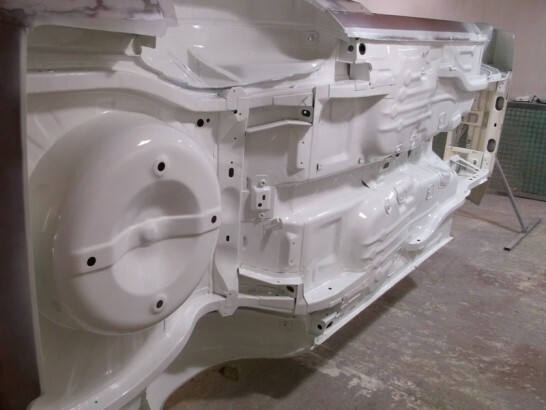 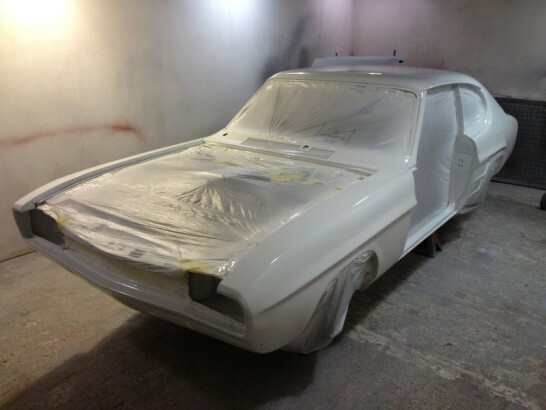 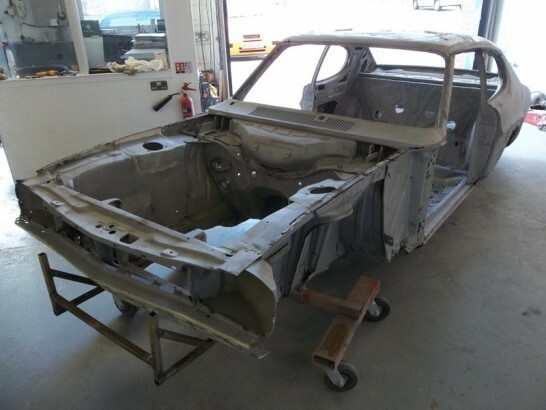 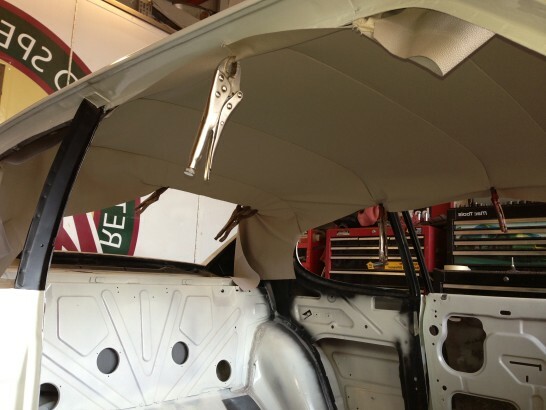 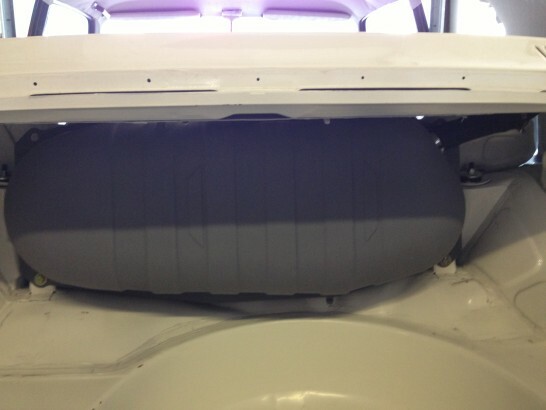 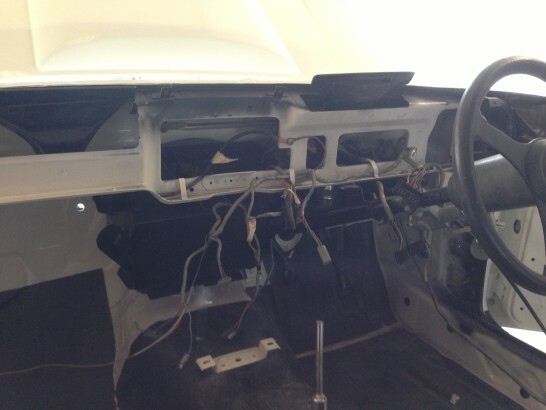 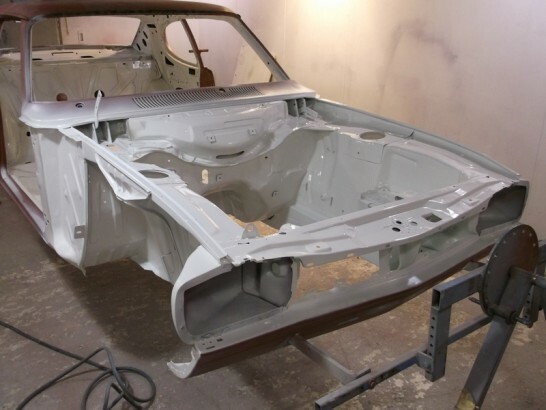 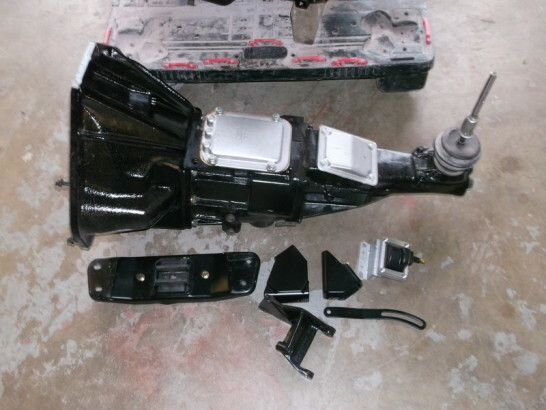 With the outer skin removed we can now fit the replacement skin reclaimed from another MK1 capri.